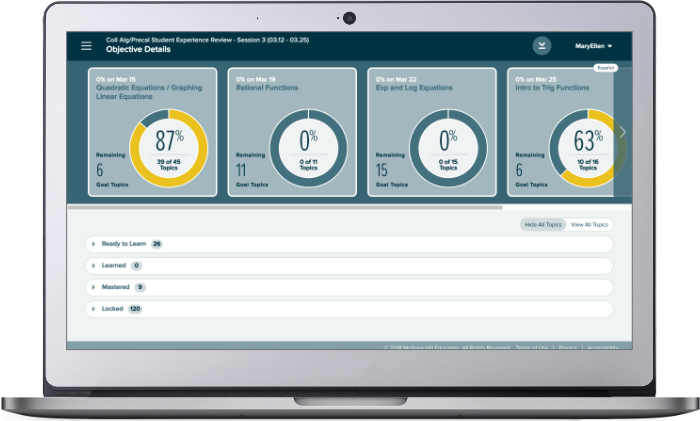 ALEKS creates detailed progress reports in real time. You can see how well students are progressing with course material on a class and on an individual level. So you can use your class time more effectively and help students who need extra attention. Progress reports provide insights into how students are both learning and retaining topics as they work towards mastery. Examine learning rates, who is getting ahead and who is falling behind, so you can use class time more effectively. ALEKS shows you exactly what each student in your class understands from day one. With this information, you can quickly pinpoint students who might be misplaced or are in need of extra help or tutoring. 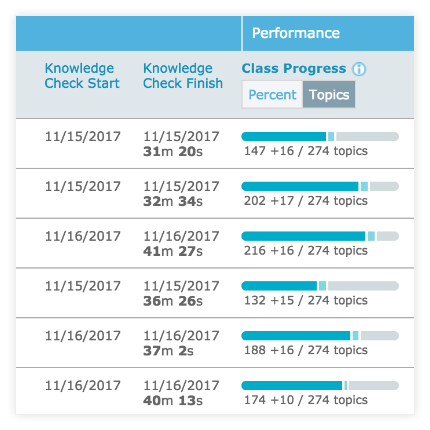 ALEKS produces reports for the entire class that give an overview of how students are performing, what the majority of the class understands, where they are stuck and why. 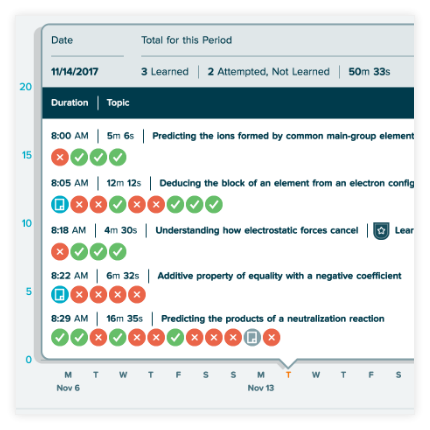 You can use these topic-level reports to make class time more effective and modify your instruction when necessary. Set your ALEKS goals and category weights according to your course needs. 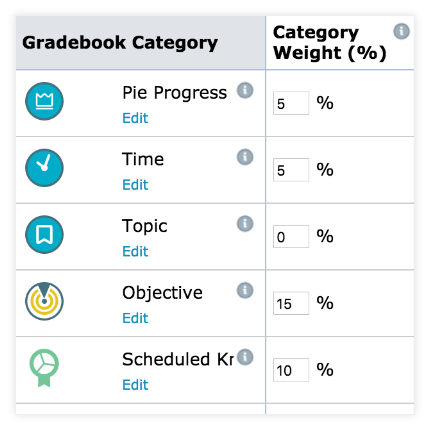 In addition to ALEKS homework, quiz and test grades, motivate your students with pie progress or time and topic goals. 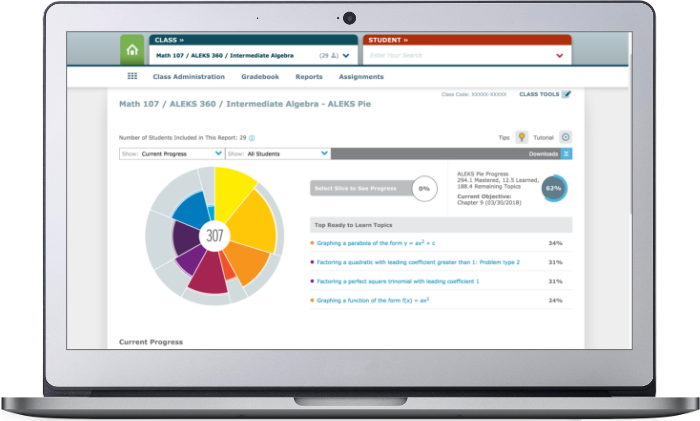 ALEKS seamlessly integrates with your learning management system for single sign-on and gradebook sync. You and your students will have one location for class information. Students can also obtain reports that let them keep better track of how they are doing, what topics they’ve mastered, areas to focus and when their next goal is due. These reports help hold students accountable for their learning and success in their course.